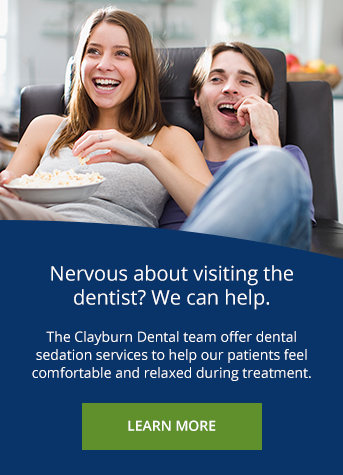 At Clayburn Dental in Abbotsford, we strive to help you achieve optimum dental health. We strongly incorporate prevention techniques and educational tools to help our patients maintain great oral health wherever they are. Preventive care is oral care that involves education, treatment and practice of maintaining your teeth and gums. From daily brushing to annual dental cleanings, these tasks are designed to avoid gum disease, cavities and enamel wear – which often leads to sensitivity. A preventive program is a cooperative effort by the patient, dentist, and dental team to preserve the natural dentition and supporting structures via preventing the onset, progress, and recurrence of dental diseases and harmful oral conditions. Preventing dental problems start at home with good oral hygiene and a balanced diet. It is continued in the dental office by the efforts of your dentist and dental hygienist to promote, restore, and maintain your oral health. Prevention also includes regular dental exams, cleanings, and x-rays. Sealants and fluoride are also great preventive treatments that help protect the teeth. Dental exams and x-rays are important preventive diagnostic tools used to uncover potential dental diseases and problems. Prevention helps avoid serious and costly dental problems and is the key to having a healthy smile. Clayburn Dental in Abbotsford will work hand in hand with you every step of the way to strive to achieve your best oral health. I am dedicated to participating in ongoing continuing education in various facets of dentistry, particularly when it comes to cosmetic dental services and implant dentistry. In keeping abreast of advances in dentistry, I can better serve my patients. During the holidays, it can be all too easy to over-indulge on treats. Here are some tips from our Abbotsford dentists on how to keep your smile healthy and bright during Christmas! Does My Dental Insurance Expire At Year End? Believe it or not, the end of 2018 is almost upon us! As you reflect upon the past year and on the one ahead, your Abbotsford dentist wants you to consider one important thing: are you making the most of your dental insurance before it expires? We provide accessible parking and are open 7 days a week. Get in touch to book your appointment today!